As a part of my anger management classroom guidance lesson in 4th grade, I use these "Cool Down Ice Cubes" to discuss ways to cool-off our anger before an explosion happens! This lesson and these ice cubes are a HUGE hit with the students! In a post from June 2011 titled "Hot, Hot Anger!" I describe a kindergarten classroom guidance lesson for anger management and reference a book by the fantastic author Diane Senn. Our district uses her Coping with Conflict book as a resource for our conflict resolution unit in 4th grade. Teach students that anger is a normal feeling that we ALL have. But, we need to be careful about how we REACT to feeling angry. Review the 3 Anger Rules (You may not hurt yourself. You may not hurt others. You may not hurt property.). I say review here because I've begun to teach these anger rules in other grade levels. They are to the point, easy to learn and easy to remember! Teach about Anger Fouls (using my handy dandy whistle and making a referee's arm motions for a foul in basketball - the kids get the biggest kick out of this). We discuss verbal fouls and physical fouls. When a foul is committed, one or more of the anger rules will be broken. We discuss which rules are broken for various examples of fouls. Discuss the effects of anger on our body -- hot, red, sweaty, on fire, shaky, tight, headache, heart pounding, clenched jaw or fists, etc. Teach the students that there are a number of ways to safely "Cool-Off" our anger so that we don't commit a verbal or physical foul and so that we avoid breaking any of the anger rules. I then bring out the container of "Cool Down Ice Cubes" which I had hidden in my little container on wheels during the rest of the lesson. This container of ice cubes was in the freezer until just before the lesson began - hence, the ice cubes are still frozen and cold! I explain to the students that written on many of the ice cubes is a way to cool down when angry. I explain that some ice cubes don't have anything written on them. Then I lay out what we will do next and the rules of the game. Each student gets an ice cube to hold and in a few minutes, each student will read what his/her ice cube says. If a student gets an ice cube without words on it, he/she is think of a cool down strategy to share with the class. When they get their ice cubes, they are to carefully examine (I demonstrate) their ice cube for written words that give a strategy for cooling down. If their ice cube has words on it, they are not to touch the words (although written with a Sharpie marker - because the ice cubes sweat, the words will wear off (if touched) after a few classes). I tell them that ice cubes are not to be thrown, traded, squished, tossed into the air, put in mouths or noses, etc. You may be laughing, but you would not believe what can happen with these frozen cubes! I have taken ice cubes away from students for these actions. After every student has a cube (and students who have blank ones have had a few moments to think of an unique strategy), I go around the group and have them read the strategy aloud. For some of the strategies we will act them out so they know just how to use them. Purchase reusable plastic ice cubes at places like the Dollar Store, Target, Christmas Tree Shop, Bed Bath and Beyond, Amazon.com, etc. The ice cubes pictured above were purchased years ago and are made with thicker plastic. These are the kind I would highly recommend. Now is the time to look for them in summer clearance sections! The ice cubes pictured below were purchased for $1 at The Christmas Tree Shop and are made with much thinner plastic that is easier to squish. I would not recommend these. Using a fine Sharpie permanent black marker, write a safe Cool Down strategy on each ice cube. You will have to trace over each one every summer to get ready for the next year's lesson. Here are a few examples - the strategies are endless! I always enjoy hearing the student ideas! Put the ice cubes in a container and place in a school freezer a few days prior to your first lesson. After each lesson, place back into the freezer until your anger unit is finished. Love this ice cube idea! Found you on Pinterest! I have social skills group that I can't wait to use this with! Thank you so much! It is a great time to look for these ice cubes in summer clearance aisles! Have fun with them! Awesome idea. Thanks for sharing! Thanks! I hope your students enjoy them as much as mine do! I recently found your blog and I love it. This will be my second full year as an elementary school counselor and I love my job. However, I am the only counselor on my campus and miss having a "team" to work with. Your blog has given me new ideas that I cannot wait to use this year. Keep posting!!! Angie - thank you so much for your kind comments! 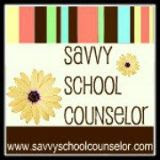 I hope you are able to find some "team" in the online world of school counseling blogs and groups! 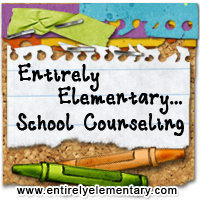 There are many excellent ones out there that do just that -- connect school counselors by way of ideas and inspiration! I will be posting a bunch more over the summer --- not only am I putting out there my summer projects, but I feel like I have some time to "catch-up" from the past school year! Thanks again! Learning about your ice cubes and your blog thanks to Pinterest. Great resources here! Thanks for sharing!